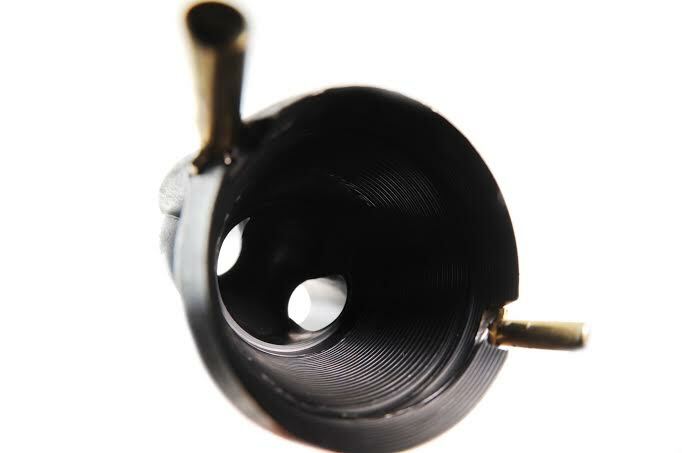 The High Density Polyethylene (HDPE) component links two pieces of pipe by electrofusion, using special fittings that have built-in electric heating elements which are used to weld the joint together. In order to be successfully welded in the field, brass continuity pins have to be inserted before the part is shipped out of the factory. 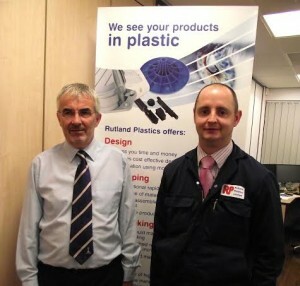 “Originally we had one operator managing the turning and wire laying, with a second person manually inserting the pins which hold the wire in place.” Automating the pinning process and reducing manpower from two to one was essential for Rutland Plastics to remain competitive. The suite of VISI in use at Rutland also includes VISI PEPS-Wire, VISI Electrode and VISI Machining 3D, which play an equally vital role in the production process, programming two Bridgeport VMC mills, a Fanuc Robocut 1ia wire eroder and a AgieCharmilles Roboform 30 spark eroder. “With around 90 per cent of moulded products requiring textured finishes, we often use spark erosion. 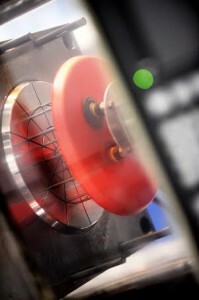 If a customer requires a certain VDI spark finish we design an electrode in VISI, bring our back-end Erowa block into the system and get it to the point at which it needs to be placed on the machine. It’s then manufactured on either the lathes or mills, and the form sparked in to give us the specified finish.” With electrode production being time consuming and complex, this VISI module easily creates and manages electrodes and their holders for detailed and hard-to-machine features. Comprehensive holder design, simulation and collision checking ensures the electrode will be perfect first time. VISI PEPS-Wire is used where small, intricate inserts need to be wired into the mould tool. 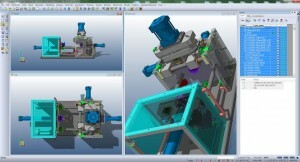 It provides automatic recognition of wire features from solid geometry, creating reliable wire EDM toolpaths and proven NC code.